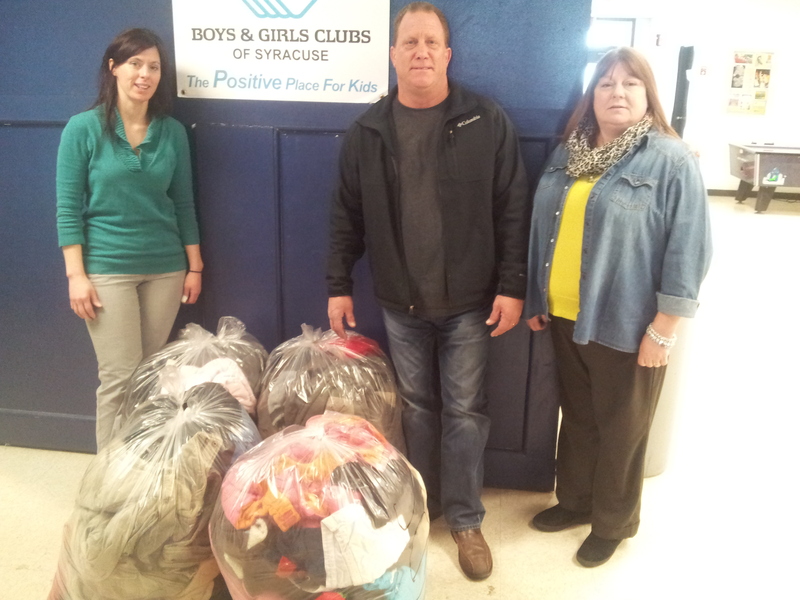 SYRACUSE, NY (March 11, 2014) – USAgain, the textile recycling company locally based in Wilkes-Barre, PA, recently donated over 150 coats to the Boys & Girls Club of Syracuse. The coats will help keep children and families warm. USAgain’s mission is to keep clothing in use and out of landfills, where it negatively impacts the environment. The coat donation to the Boys & Girls Club was an opportunity to reduce waste and give back to the community. This isn’t the first time USAgain has partnered with Boys & Girls Clubs to reuse winter apparel and keep children warm. USAgain has been giving back to local Boys & Girls Clubs in cities where it operates since 2012. Since the inception of the program, thousands of pounds of coats have been donated. “We’re surprised and pleased USAgain would travel such a distance to donate these coats,” said Tina Dee, Director of the Boys & Girls Club of Syracuse. “We’re very appreciative of the donation and the effort USAgain made.”. USAgain looks forward to future donations and events with Boys & Girls Clubs across the country. Any time clothing can be diverted from landfills and given to those in need, it’s truly a win-win.